I currently have 8 trees. 4 DF mountain trees and 4 Dungeon Crawler trees. I also have 12 stumps I got from tiny furniture on ebay. I have no bonsai trees, dwarvenite or wood. I am hoping to expand my tree capability. . Looking into our crystal ball we see a tree expanding opportunity coming your way verrrrry soon! We got a whole bunch of trees or at least we thought we had, but when put onto our table they were sadly less than impressive. The trees are fine its just you need a lot for a 6x4" table, so we got some excellent Woodland Scenics tree making kits and a bunch of GW trees to build and paint, but we know it wont be enough, not nearly enough. You cannot 'EVER' have enough Trees. Worth noting we are talking about Spring/Summer trees - Winter trees are a whole different ballgame. 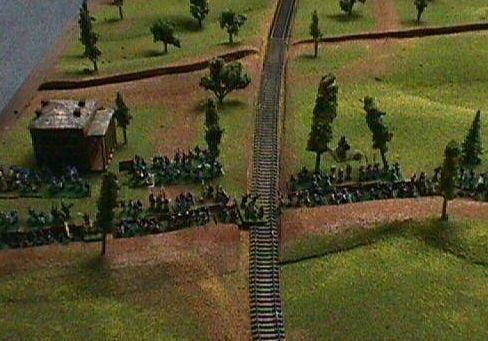 More than 20 years a go My late friend Fred and I built a Battle of Atlanta table for ACW Fire and Fury. I purchased more than 200 Woodland Scenic Pine armatures. It was no where near enough. I learned how to make them. Over the years I have built thousands of trees.Wire brush trees are the most practical for wargaming. Weed Stem trees are the most cost effective for large museum style displays that will not be handled. I have 5 hours to wait to see Hollow Wood. I am going to make time to watch the Presentation. Thanks guys, this gives me some parameters to work with. I'll get something close to what I need. Orrr....... just get some Citadel Agrax Earthshade and Lahmian medium. Agrax Earthshade is a wash whilst quite strong its not strong as the Army Painter quickshades (IOHO). If you want a weaker strength shade then dilute it with Lahmian medium. This is recommended rather than water which does not always dilute the ink in the wash.
T... I will let this sit over the weekend then add static grass. The color is looking very nice. Will the grass be fall/like or is the tree out of place in the show? I've never watched any GoT, so I have no real reference other than the picture you showed awhile back. Thanks for the posts. I want to make a dark oak wash for my GW Wood tree trucks. If I only need a little (say 0.1 oz or 0.15 oz) wash. So, I wouldn't need much dish soap would I, maybe a 1/4 of a drop of it. Would a whole drop be too much? I use a drop of dish soap for a Quarter Gallon of water. 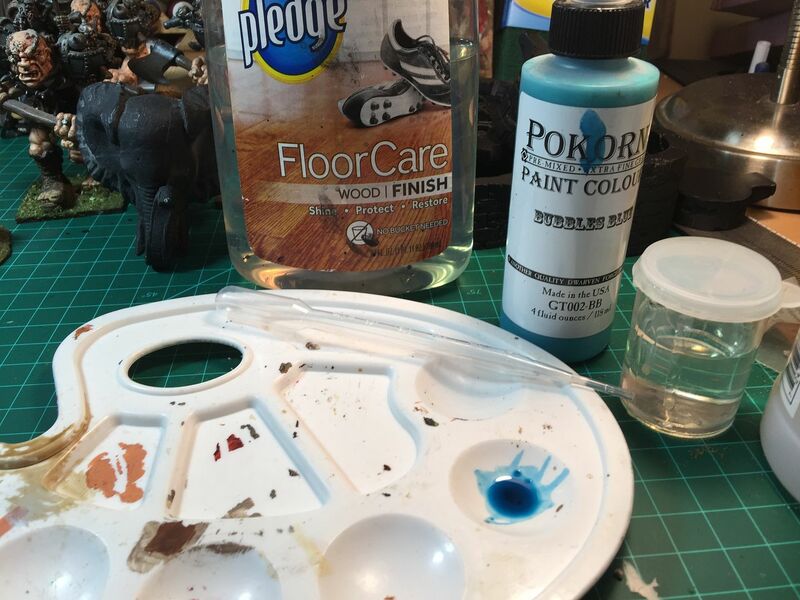 I make washes with an eyedropper.1/3 paint 1/3 water 1/3 floor wax. I have found that if you make too much it will go bad. I am going to use fall colors without snow.The pond is a hot spring/ Melted Ice dragon. The Ice and Fire game is based from the Books. A lot takes place before winter. Making Wet Water. 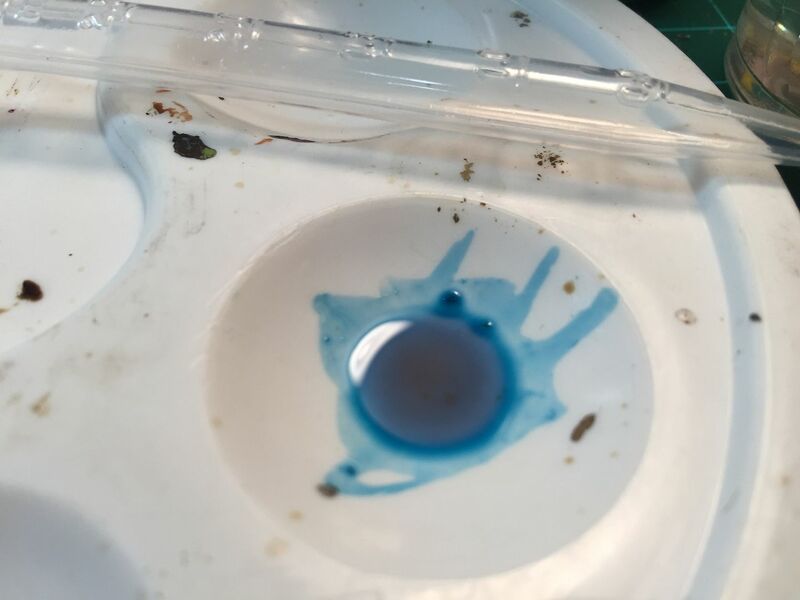 When I use dish soap to break the surface tension when preparing molds. A few drops for gallons of water. The water dip helps the plaster flow into the mold. I rarely need it for painting. Thanks, I was hoping to not have to go anywhere. I guess I'll just skip it and go with a very thinned paint mix. Someone on here uses dish soap for something. I thought it was for washes and that it was your tip. Hmmm? Oh well. I've never used it (dish soap), other than to clean mold release, etc. I recall in far distant past it being mentioned to help break up surface tension - which is what a wash needs. Worth a try, no?